In winter I’m always reminded – once again – what an important design function the right deciduous tree can play in a garden. In the spring and summer they provide shade and do their photosynthesis thing; in fall, if we are lucky, we get a glorious cascade of multiple red, orange and yellow hues as their leaves depart. 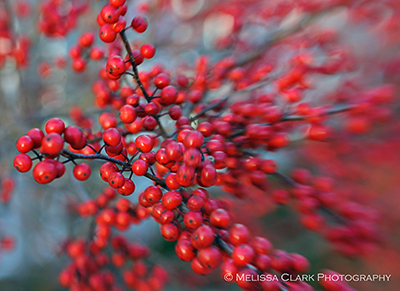 In between there may be berries and flowers. 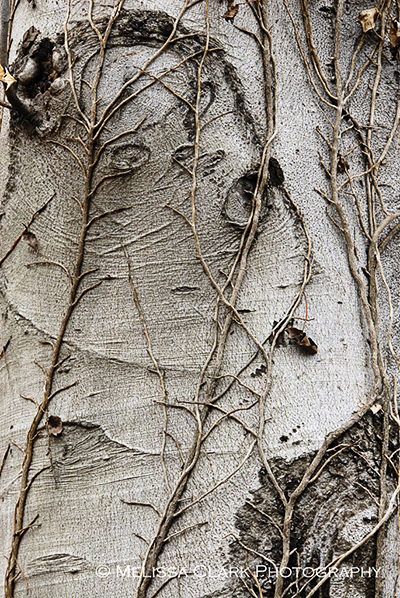 Come winter, though, what counts – besides the branching structure – is the bark. So when I design gardens for year-round interest (always an important goal), I find myself turning again and again to some personal favorites in that department. 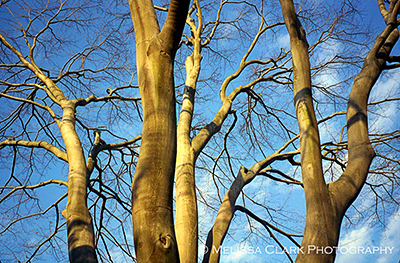 In my own yard, I have a majestic American beech tree, Fagus grandifolia. It is a difficult tree in terms of getting anything to grow under it other than groundcover plants (although I have one large ‘Sum and Substance’ hosta that seems to be holding its own, right up against the trunk). But its smooth gray bark and enormous branches reaching to the sky make my heart sing whenever I see it as I return home. The upper reaches of my large American beech, in the fall after its leaves have dropped. A closeup of the bark of an American beech at the National Arboretum. Note the smooth gray color. Often I find I want a tree for a client’s garden that won’t “eat the house” – something that will grow relatively slowly but have an arresting winter presence from the outset. One frequent choice is the Kousa dogwood, preferred by many landscape designers in this area over the admittedly lovely flowering dogwood (Cornus florida) for its greater resistance to anthracnose (a disease often fatal to the native dogwood). 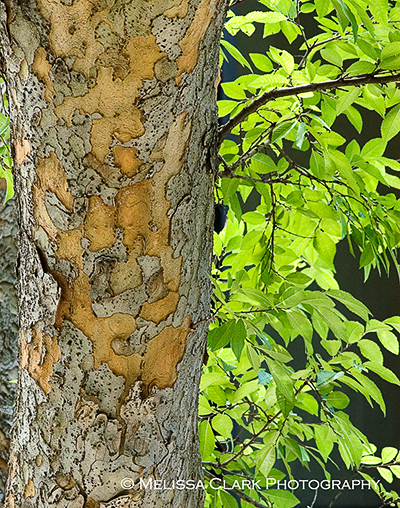 Kousa dogwoods, which flower a little later than the native variety, have gorgeous exfoliating bark. Bark of a Kousa dogwood at the National Arboretum. 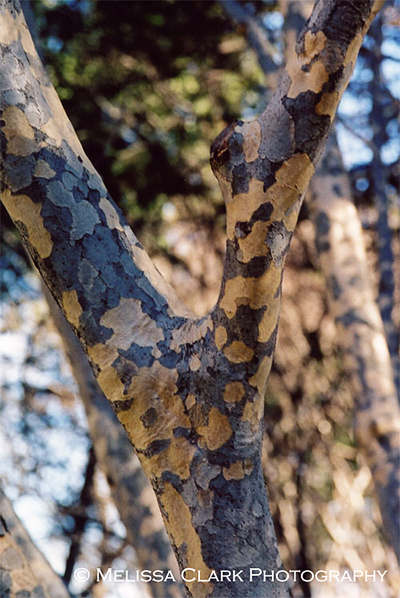 The Persian parrotia tree (Parrotia persica) has similar bark, although somewhat more muted in its palette. 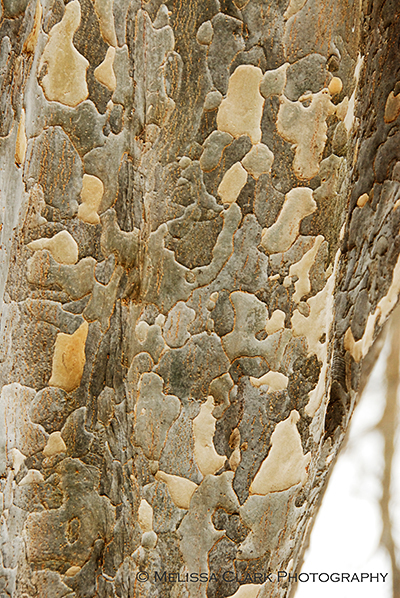 A Parrotia's exfoliating bark shines even in the dead of winter. As you can tell by now, I have a thing for trees with exfoliating bark (and both the Kousa and Parrotia have lovely flowers and great fall color as well). For my last entrant in this particular subcategory, here’s a tree with a little more heft in its eventual dimensions: the lacebark elm, or Ulmus parvifolia. These trees can reach a height of 40-50′ with a spread of 40′ if given room to grow. This is the tree I would choose for my own garden if anything ever happened to my beloved beech. A prime specimen of the lacebark elm showing off the reason for its common name, at the National Arboretum. Since I’m so keen on bark, I will close with a photo I took of the bark of a Bottle Palm (Hyophorbe lagenicaulis) in a conservatory at Longwood Gardens several years ago. Sorry, unless you live in Florida or some other place where it never gets below 30 degrees F., this isn’t for your garden! But isn’t the bark great? 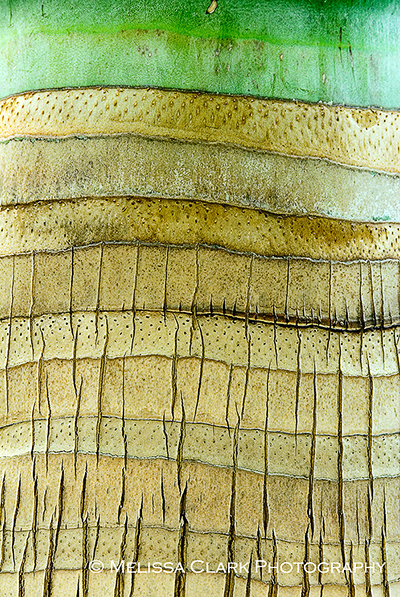 The bark of a Bottle Palm at Longwood Gardens. Years ago, while enrolled in a landscape design program, the first set of courses I was required to take involved learning about 300 trees and shrubs that are well-suited to planting in the mid-Atlantic area. The courses were called (innovatively enough), Fall I, Fall II, Spring I, Spring II, and Summer. They were taught primarily at the National Arboretum on weekday mornings, rain or shine. When “Spring I” rolled around, it was January. What in the world, I wondered, would we be shown that could possibly be interesting? How many hollies could the world hold? Would winter’s cold be the only thing keeping me awake for three hours each Friday morning? Then I visited the Gotelli Collection of Dwarf and Slow-Growing Conifers at the Arboretum, and my ideas about evergreen plants changed forever. The variety of colors (greens, blue-greens, variegated-tipped species, and every shade in between the basics) and textures was overwhelming. 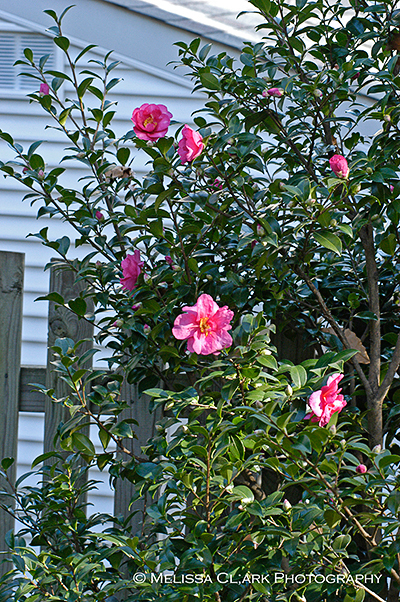 Many trees and shrubs were unusually shaped – spreading, stubby, rounded. Planted with grasses, crape myrtles, Japanese maples, star magnolias and other deciduous plants, they created gorgeous contrasts for the eye. In snow, they were even more arresting. Since then, I have returned many times – for design inspiration, to take photographs, and to see the collection in every season. I’ve also learned a little bit about how the Collection came into being. 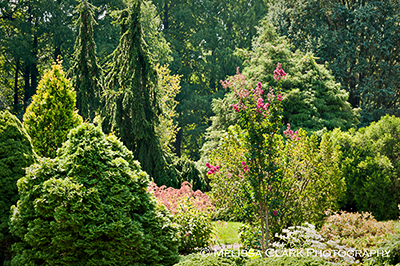 In 1962, a New Jersey businessman, William T. Gotelli, donated his personal collection of conifers to the Arboretum so that it would not be dispersed. It consisted of over 800 varieties of conifers, 600 varieties of rhododendrons and many Japanese maples. At the time, Mr. Gotelli estimated the collection’s worth at over half a million dollars. The USNA’s acquisition of the collection led to its staff developing a deeper interest in the area of dwarf and slow-growing conifers. The Collection is now recognized as one of the finest of its kind in the world. 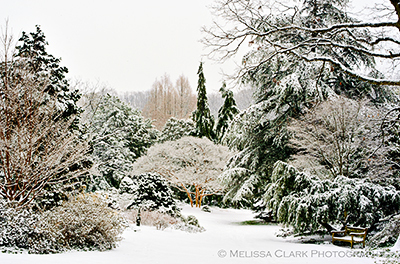 According to the Arboretum’s website, the climate there allows it to grow conifers from widely varying climates, including some that are native to areas near the Arctic Circle and others that are almost subtropical. In my program, we tended to study the less exotic species, but even those can be breathtaking when grown to full size (a cautionary lesson for a garden designer). 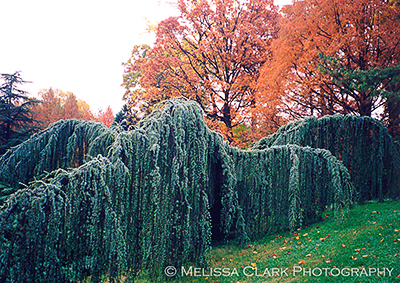 A mature weeping blue atlas cedar in the Gotelli Collection. 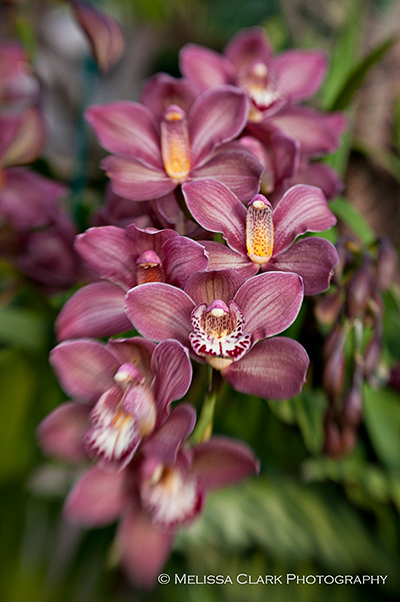 Not for the typical suburban front yard - give these babies room to grow! 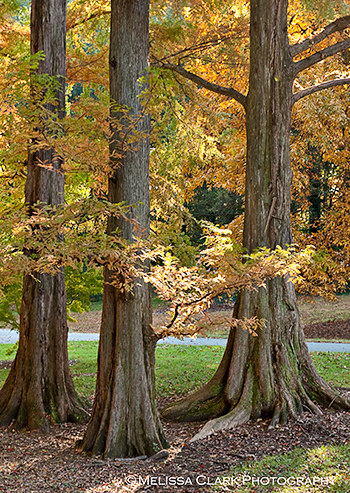 Near the Gotelli Collection, one can find a grove of dawn redwood trees grown from seedlings discovered in China in 1942, at a time when the species had been assumed extinct for many years. Note the color of the needles, about to drop as fall advances. Another part of the Gotelli Garden, in late summer. 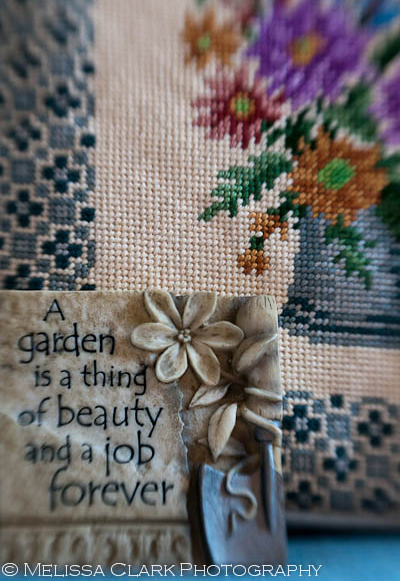 When I started Garden Shoots, I wondered if anyone would read it. Lo and behold, I got lucky. And one of my first readers, Liz Reed, has become an unmet-as-of-yet friend. 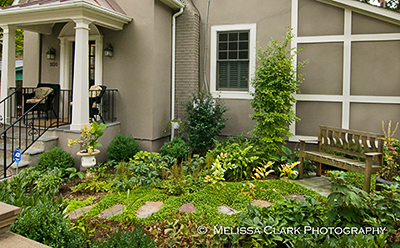 She is a fellow landscape designer who lives in Pittsburgh. More importantly, however, she is a photographer, painter, and an artist with a scanner. 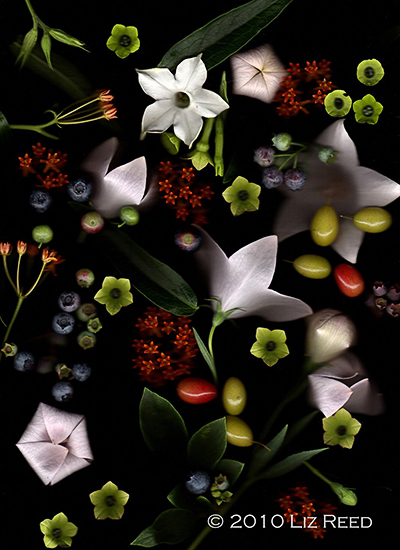 Consider the beauty of “July Tapestry,” created with blooms from her garden, an artist’s eye, and her first scanner, an Epson CX4800. "July Tapestry" by Liz Reed. She sent me this image in her first e-mail and I nearly swooned. It’s mysterious, moody, and begs to be examined closely. 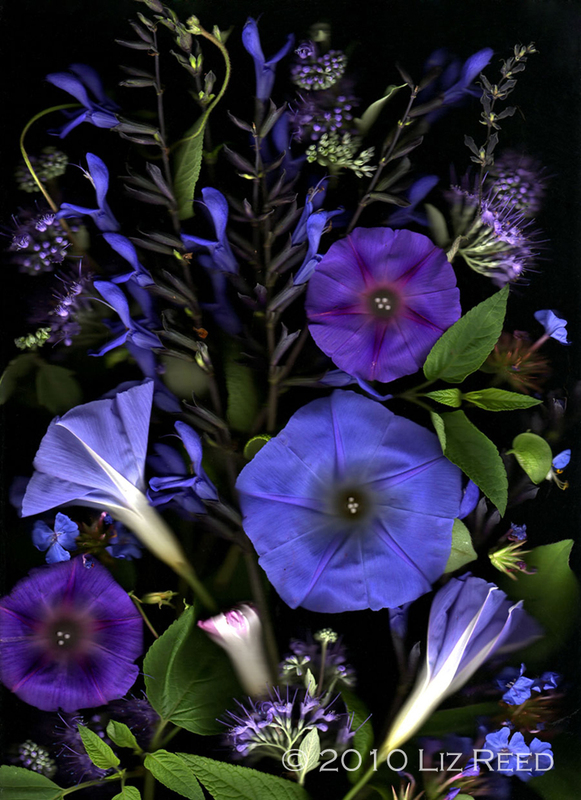 Composed of Platycodon, Asclepsias, blueberries, and Nicotiana blooms, carefully arranged for balance and texture, “July Tapestry” is a wonderful piece of art. 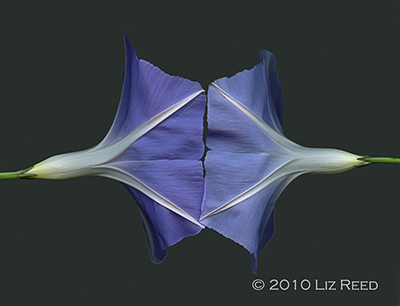 Liz began experimenting with scanning as an art form after she sold her gallery (Gallery in the Square, which is no longer in existence) and turned to landscape design as a second career. 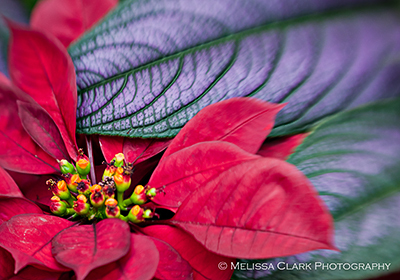 (She designs gardens in Pittsburgh and Long Island at the present.) 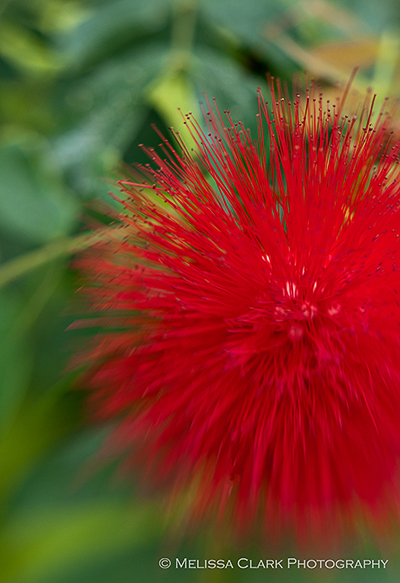 But she still draws, paints – and has branched out into scanning beauty from the garden. 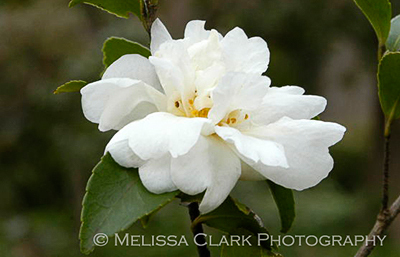 Recently she opened Garden Capture, a virtual store on Etsy, where you can purchase her images. 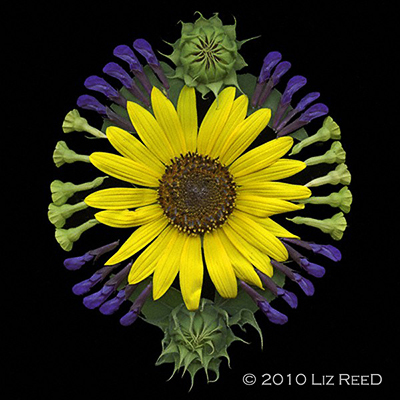 "Sunflower Mandella" is the most-often viewed of Liz Reed's images on her Etsy site, Garden Capture. What she loves about this art form, she told me recently, is the limited depth of field that the scanner creates; the parts of an object next to the scanner glass are sharp, but the rest fades off quickly into the distance. The lighting is a constant (unlike in regular photography), so repetition and patterns are important. Over time, she has learned the “vocabulary” of how the scanner will read items, so she has become more adept at arranging her materials. In late summer, I encouraged Liz to enter Gardening Gone Wild’s October photo contest – but it was open only to bloggers, whose company she has yet to join. If you’re interested in how to try this art form yourself, check out this link to GGW’s contest announcement for that month. For some other superb examples of scanned images (botanical and otherwise), look at Scannography Artists’ website. 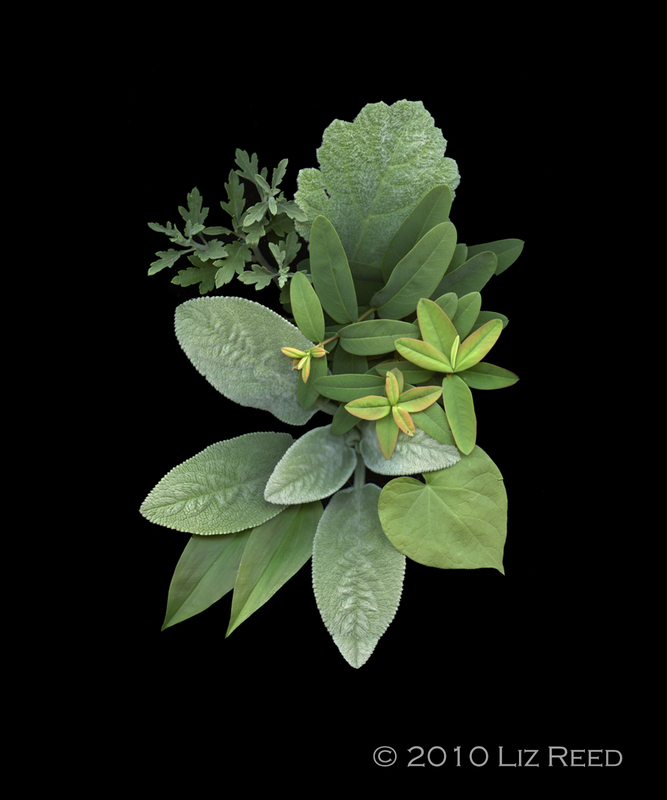 Some of her personal favorites include “Glory Mirror,” “Green Texture Corsage,” and “Glory,” shown below. 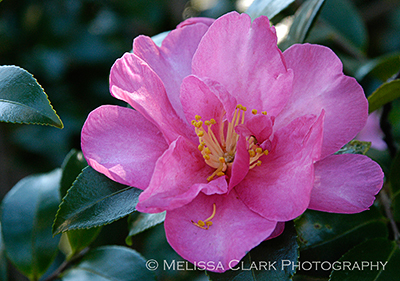 Liz now creates her scans with a new Epson scanner and some updated software. She had a show of many of the images in her Etsy store at Gallery in the Square before it closed. I’m contemplating redecorating my guest bedroom soon, and I can just picture some of her images, framed on the walls, as wonderful additions to the room. 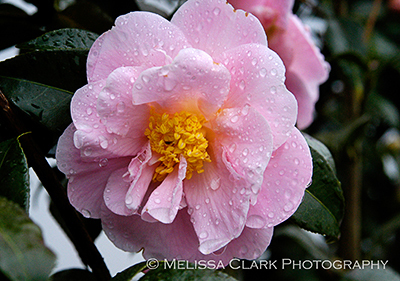 So check out her art at Garden Capture – I know you’ll enjoy it.